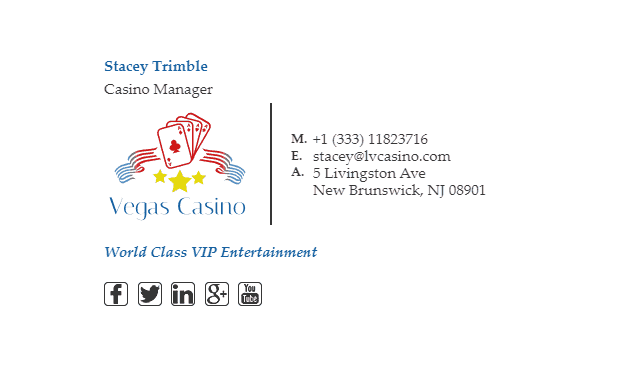 Casinos are where all the fun happens! Don’t let your customers forget about their great experiences at your casino. An email signature allows you to show your customers all the great games that your casino offers. 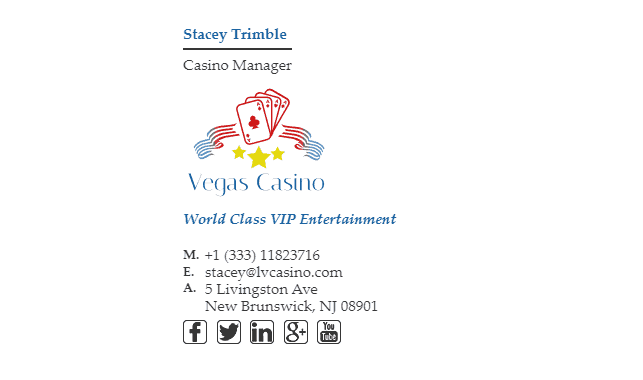 For a casino email signature, you would have a banner at the bottom linking to a page on your website which explains about all the games that are available at your casino. 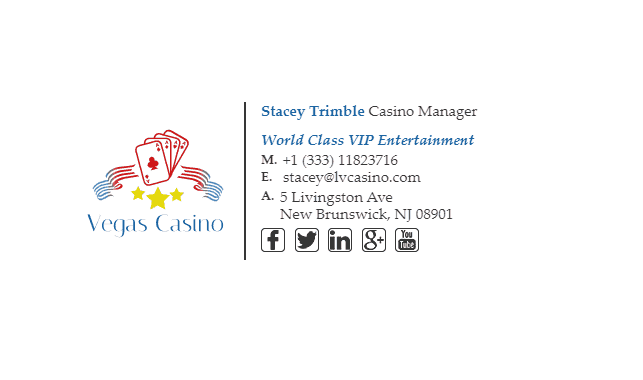 Gambling venues often don’t follow up with their biggest customers, and this can cause them to feel withdrawn from your venue. 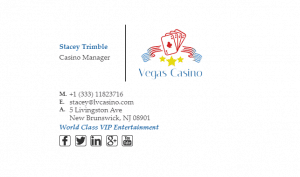 If you have VIP customers, grab their business cards so you can get their email addresses, and email them special offers to keep them coming back. 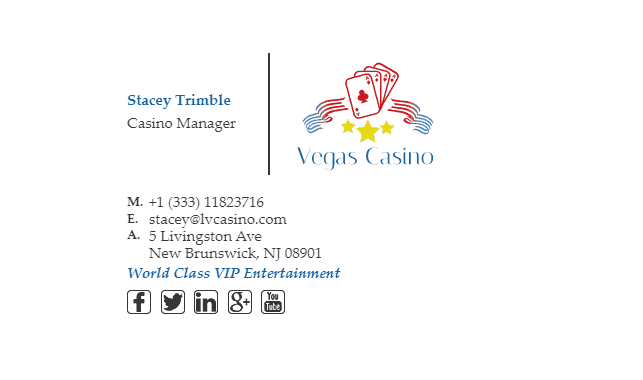 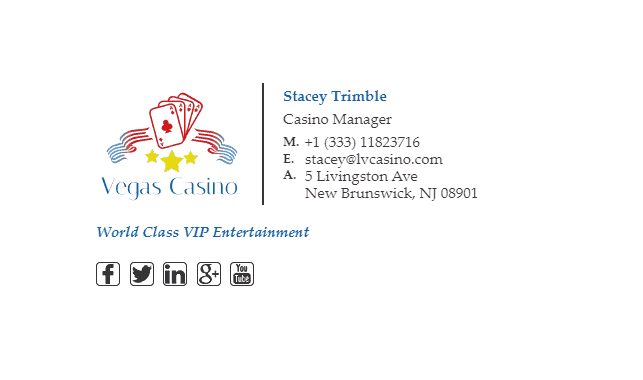 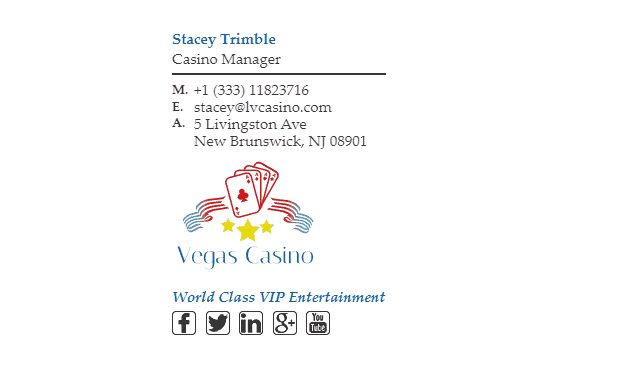 Take a look at our casino’s email signature examples below. 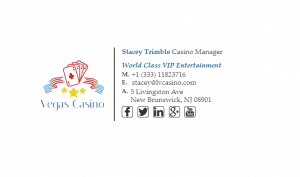 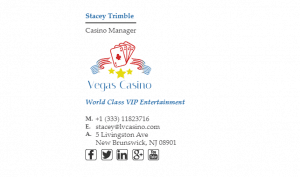 What Should Be Included in a Casinos Email Signature?